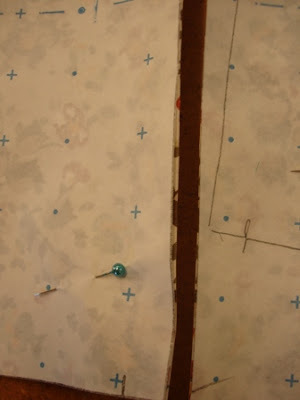 Tips for cutting out delicate fabrics. Meet my brother Tony. 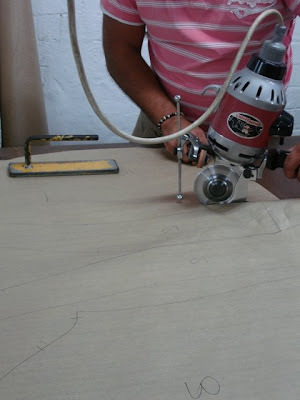 He is a professional cutter and here he is cutting out Silk/Rayon velvet. It’s more luxurious and alot drapier than the cotton velvet variety. 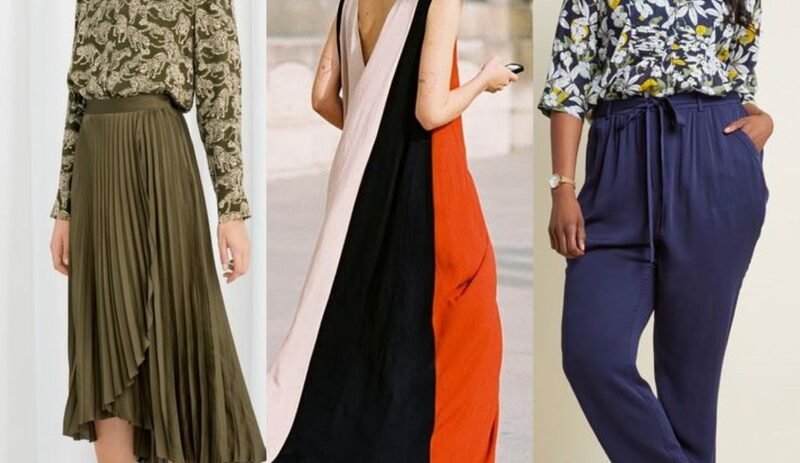 The best way to cut light and delicate dress fabrics like this or chiffon, georgettes, viscose etc is between sheets of paper. With the fabric sandwiched in between. This stops the fabric from sliding around and moving off grain. 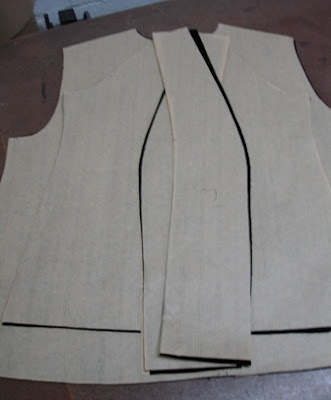 With all the pattern pieces either marked or pinned to the paper on top – as opposed to – on the fabric.The fabric is layed out along the selvage edge against the straight edge of the paper – this lines up your straight grain perfectly. 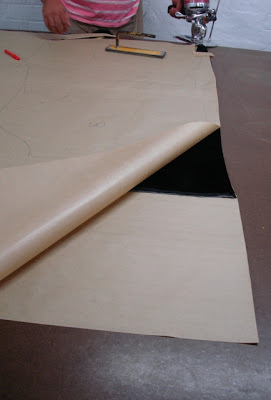 Tony here has used the 160cm wide brown paper ( he was out of the narrower 120 cm ). 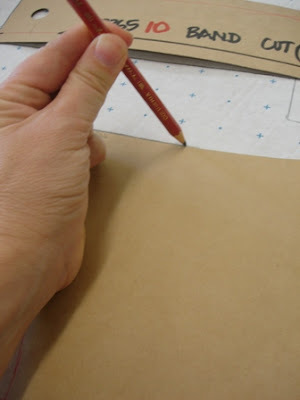 This special cutting paper has grain lines printed on it – great for lining up the grainlines on the patterns to. 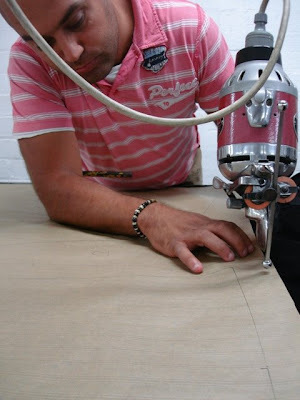 Then Tony cuts out the pieces with either his scissors – or to be quicker – his rotary cutting machine. Wouldn’t you love one of these….mind the fingers though!!!!! 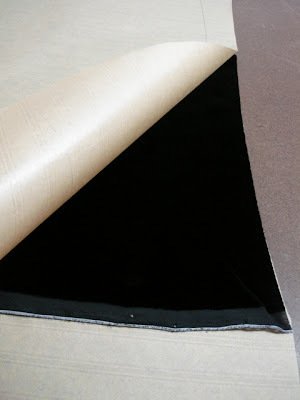 At Tessuti we stock the 120cm wide ‘Spot’n’Cross’paper for just this purpose. We stock this width as it is more manageable at home and most of us don’t have the luxury of a wide cutting table like Tony’s!!! 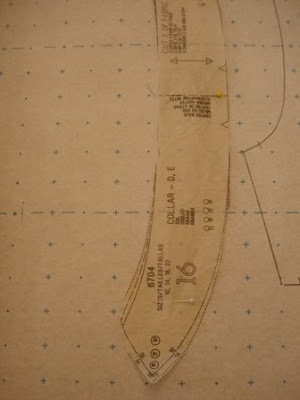 You can lay out your 112cm (45″) wide fabrics out flat or lay out your wider 150cm (60″) on the fold. 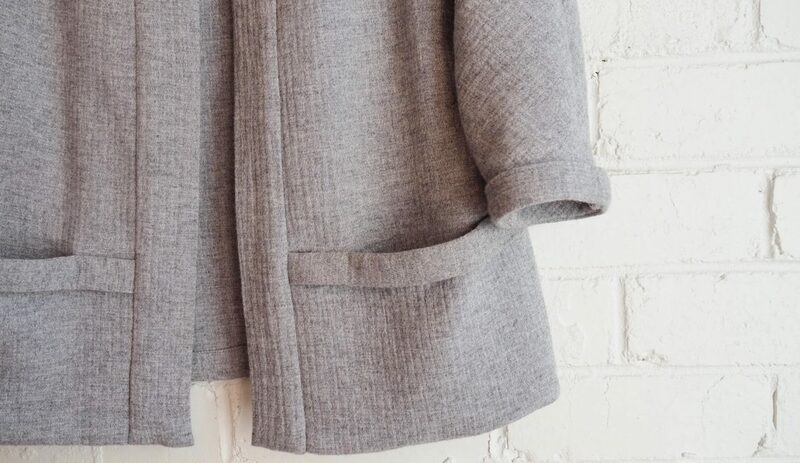 Cutting out your delicate fabrics this way is very easy. 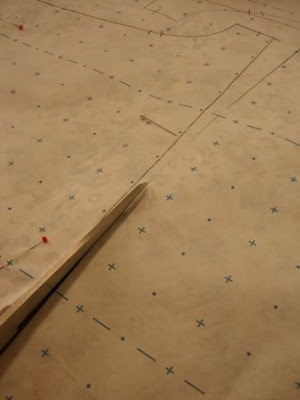 You end up with a perfect cut edge…no more wonky edges. 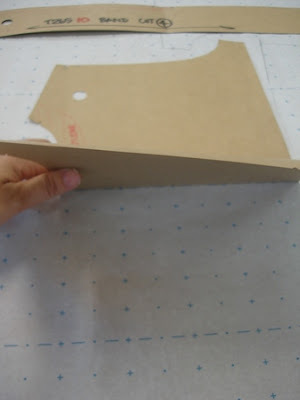 This ‘Spot’n’Cross’ paper is also great to use when drafting and tracing your patterns. 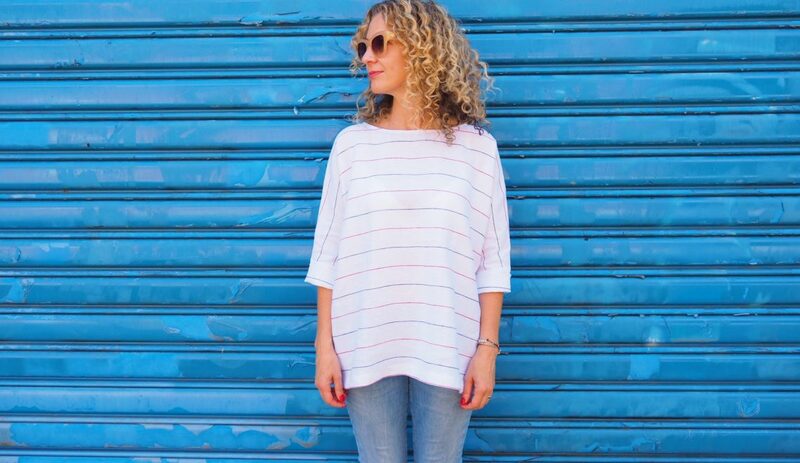 Thanks for posting this how-to, Colette! Now I just need to brave sewing the swishy fabrics. Great tip! 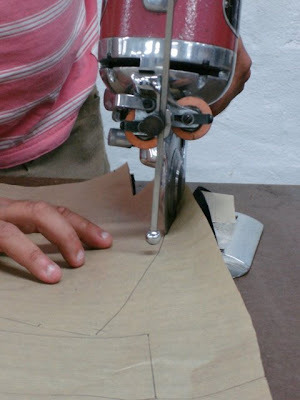 I might not have passed over so many projects throughout the years if I had had a rotary cutter AND known about this. Wonky cardboard cutting boards and scissors just didn’t cut it back in the 1980’s. Those filmy polyesters and silks were terrifying. Thank you so much for this tutorial. About to cut some georgette for bridesmaids dresses and this will help me significantly.